A woman found bound and injured in a Vail dumpster last month has been arrested and charged with false reporting to police. 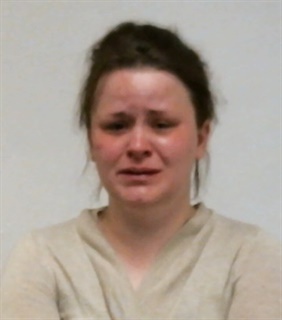 On Thursday, April 12, Vail Police detectives arrested Linnea Hayda, 31, of Vail, on a warrant related to an incident in March in which the woman was found in a trash dumpster. Charges include false reporting to police, tampering with evidence and attempting to influence a public servant. At approximately 5:37 a.m. on March 27, police were dispatched to the 1000 block of Vail View Drive in the Sandstone neighborhood upon the report of a woman found in a dumpster with various injuries. After a thorough investigation totaling over 200 hours, Vail detectives concluded that an account provided by Hayda, which led police to issue an alert to the community asking about suspicious activity, proved to be fictitious. Further inquiry can be directed to Assistant District Attorney Heidi McCollum at 970-319-0269. Note: All persons are presumed innocent until proven guilty in the court of law. At approximately 5:37 a.m. Tuesday, March 27, Vail Police responded to the 1000 block of Vail View Drive on the report that a female party had been found in a dumpster. When officers arrived on scene, the female was located in a small dumpster. The female party was conscious and breathing but not able to talk. She was found with various injuries which are being investigated by police. The female was transported to Vail Health by Eagle County Paramedic Services where she was interviewed by Vail detectives. Her last known whereabouts were near 142 Beaver Creek Place in Avon at about 4 p.m. on Monday, March 26. Anyone with information about suspicious activity in either area is encouraged to call Vail Police and speak with Detective Sgt. Luke Causey, 970-470-2372 or lcausey@vailgov.com.